Chelsea Vill is a Brooklyn native whose passion for dance has expanded well beyond leisure. Chelsea began dancing at the age of four and has never stopped. During high school, she became the artistic director of her school’s dance company where she exhibited leadership through dance choreography and fundraising initiatives. Chelsea is an alumna of Spelman College where she majored in drama with a concentration in dance. During her time at Spelman College, she was very active in Ashietu, the African dance ministry at Spelman College. 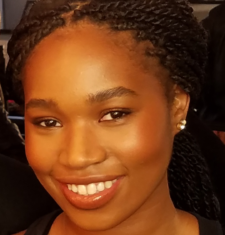 Chelsea received her Master’s degree in dance/movement therapy from Pratt Institute in 2016 where she focused her study on the therapeutic effects of West African drumming in a dance movement therapy session. In addition to teaching the fundamentals of dance and choreography, Chelsea now uses her passion and love for dance to help people with emotional traumas and psychological disorders strengthen their coping skills.